Adventures of Chicken & Dumpling are the fun-loving alter-egos of Tave Fasce Drake and Nikki Jardin. 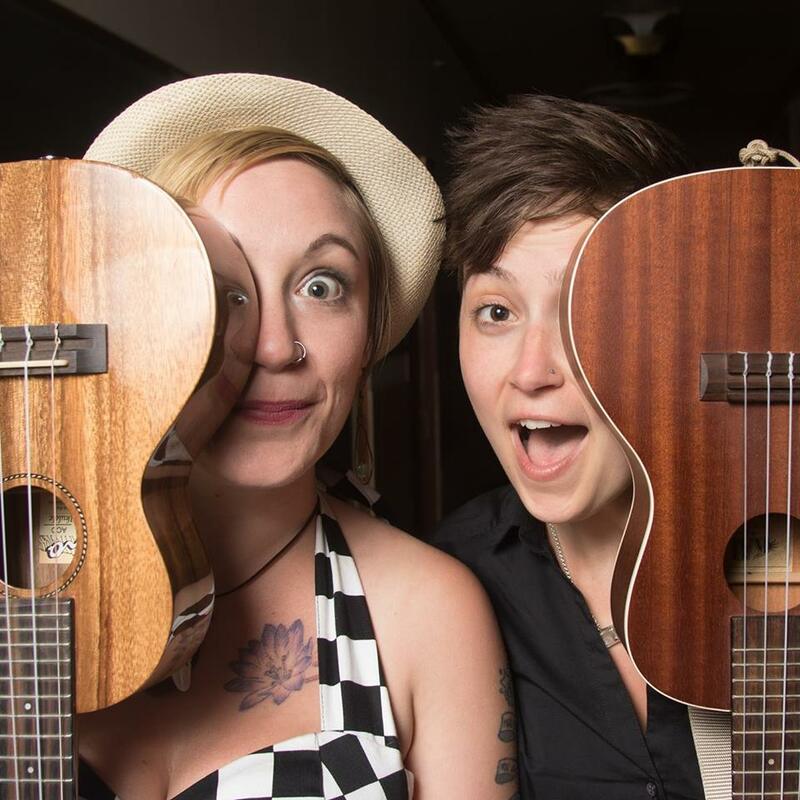 Their shows involve original music consisting of blues, folk, swing, and 1930s style songs, along with a handful of carefully selected covers often played on unusual and whimsical instruments. The fun times also include storytelling, games, and the occasional guest performer! When not off having adventures or performing together, Tave and Nikki are involved in several solo projects in the Pacific Northwest and beyond. Additionally, Tave is the lead singer and Nikki is the drummer of Gerle Haggard Band, the “All Merle, All Girl” tribute.